ROSS Anderson, Andison, Andrews, Corbett, Crowe, Croy, Deas, Denoon, Dingwall, Dithie, Fair, Fearn, Gillanders, Hagart, Haggar t, Lockhart, MacAndrew, McCullie, McCulloch, McLullich, MacTag gert, MacTear, MacTier, MacTyre, Mitchell, Taggart, Tarrel l, Tullo, Tulloch, Vass, Wass, Waters. The gaelic word "ros" means a "headland" and is often used as part of place names in Scotland. There was an ancient Celtic earldom of Ross in the north-east of Scotland, in what is now the county of Ross and Cromarty, between the Cromarty and Dornoch Firths, north of Inverness. The clan was sometimes referred to as Clan Anrias or Gille Andras/Gillanders, the old Celtic Earls of Ross, who were said to have descended from Gillianrias, the son of the hereditary abbot at the monastery of Applecross. In 1214, when Alexander II led an army to the north to repress a rebellion by Donald Bane, who was claiming the throne, Clan Ross assisted the king and was rewarded with the title Earl of Ross. The Rosses fought at the Battle of Largs against the Vikings in 1263.
in 1320. Hugh Ross married a sister of Robert the Bruce and fell at the Battle of Halidon Hill in 1333. The earldom was forfeited when the Lord of the Isles was defeated in 1476 but the surname survived and the chieftainship devolved to the Rosses of Balnagowan near Tain. The 12th chief led 1,000 of his clansmen against Oliver Cromwell at the Battle of Worcester in 1651. However, many were captured and transported to the colonies in New England. A Norman family called de Ros settled in south-west Scotland in the 11th century and some of their descendants also became known as "Ross" or sometimes "Rose". At one time they managed to convince the Lord Lyon that they were the chieftains of the clan Ross but this was overturned in 1903 and David Ross of Ross and Shandwick is the current chief. The Ross motto is "Spem successus alit" - literaly, "Success nourishes hope", which nowadays we would call "Success breeds success". After a long struggle with the neighbouring clan MacKays, the clan Ross was defeated at a battle at Strathcarron by the Mackays in 1486 and never recovered. Despite this, Ross is still one of the five most frequent names in the northern Highlands and the 16th most frequently registered in the whole of Scotland in 1995. 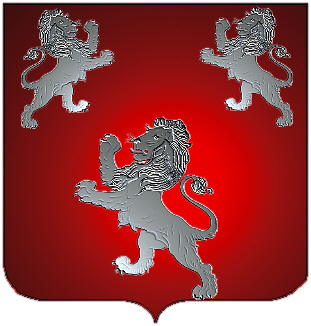 The Corbet, Dingwall, Duthie, Fair, Gillanders, Haggart, McLulich, MacTaggart, MacTear, MacTire, Taggart, Train, Vass and Wass families are all regarded as septs (sub-branches) of the powerful Clan Ross.